These temperance materials include cartoons, postcards, circulars, and flyers pertaining to the prohibition movement in Kansas. A reward poster offers $35, pledged by citizens of Liberty, Kansas, for the conviction of violators of the prohibitory law. 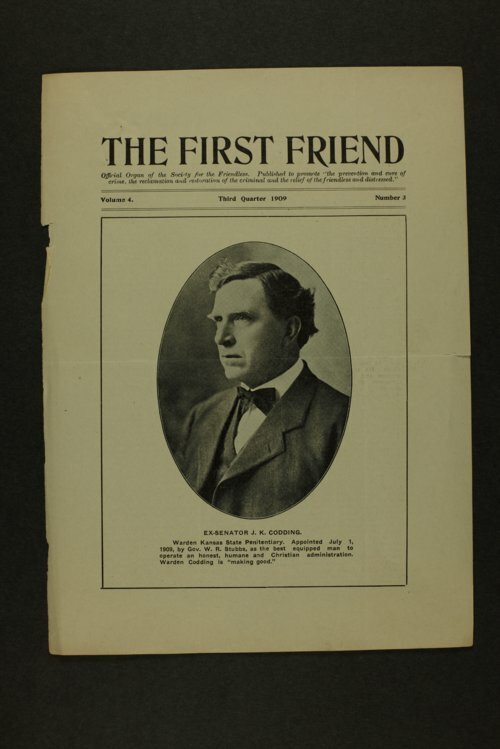 Publications include The First Friend, the official organ of the Society for the Friendless; the Sirocco, a pro-temperance publication of cartoons by N. P. L. Rosch; and a drawing by Samuel Reader with references to the devil and the Twentieth Century Total Abstinence Crusade.